‘Big Sky Country’ where unobstructed skyline meets hundreds of miles of fishable water. Last spring I was fortunate enough to take a break from the fly shop to spend a week fishing and learning the Missouri River in Craig, Montana. This mecca of fly fishing is positioned at the headwaters of one of the longest river in the United States. 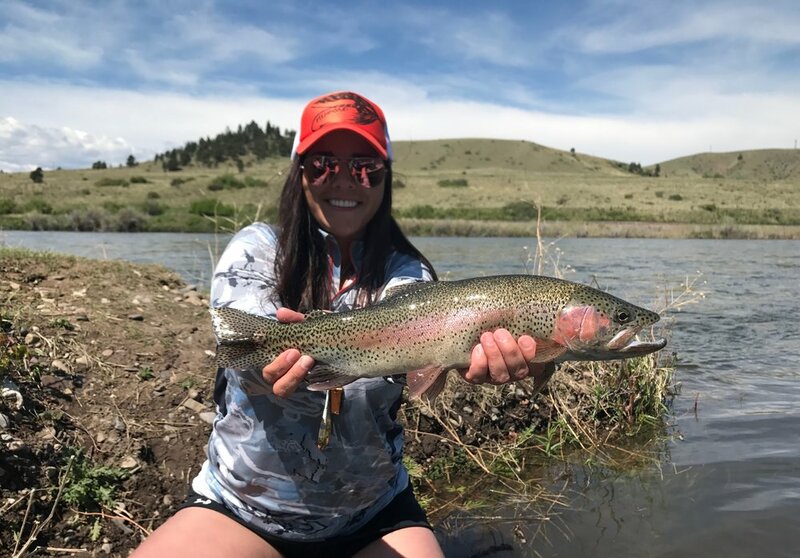 Along this stretch of pristine fishy water, you will experience some of the most prolific hatches, big trout (seriously huge fish), easy access with over 14 boat ramps, and the most welcoming small town you happen upon in the west. Spring fishing on the Mo' means learning to adapt to changes in flows, sometimes daily. Having a few different set-ups in the boat proves to be the most productive. A nymph rig, streamer rod, and dry fly set-ups are key. This particular catch, we were floating down a small side channel, I was fishing river left toward the small island behind me. I was casting a 9' 5wt nymph rig with a #16 Rainbow Sow Bug drifting at the end of my line. In the middle of the drift, my line went tight and boy was this is hook-up a beauty! Nothing compares to shoulder days on the Missouri River. Trout like this are more common than not while floating along this incredible fishery! If you are in the west and looking for some incredible fishing, be sure to check out the Missouri River & all it has to offer!